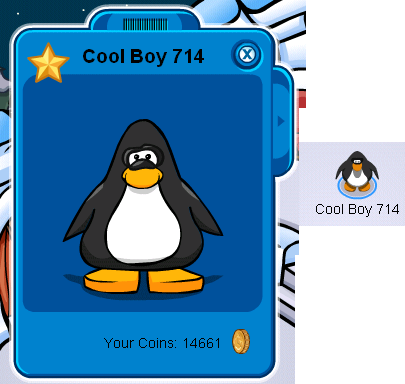 Cool Boy 714 is Now a Member! Yes, it is true! I am now a member! This is what my player card will look like for this month while i am a member. 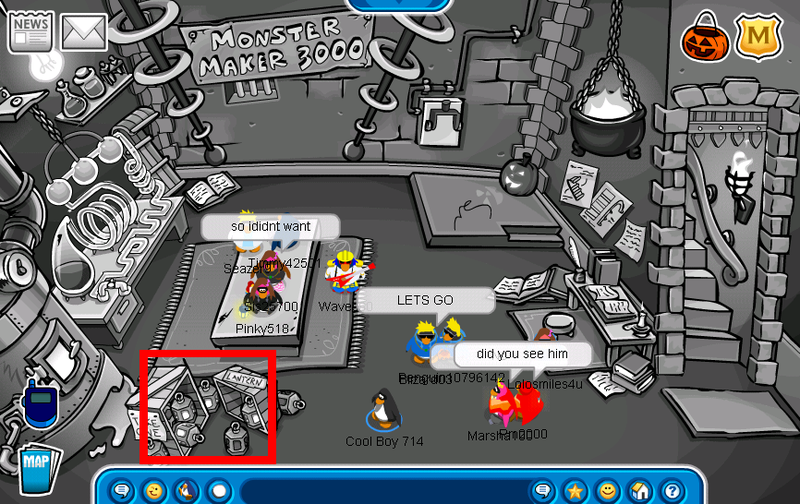 When I get on Club Penguin I will always open my igloo. 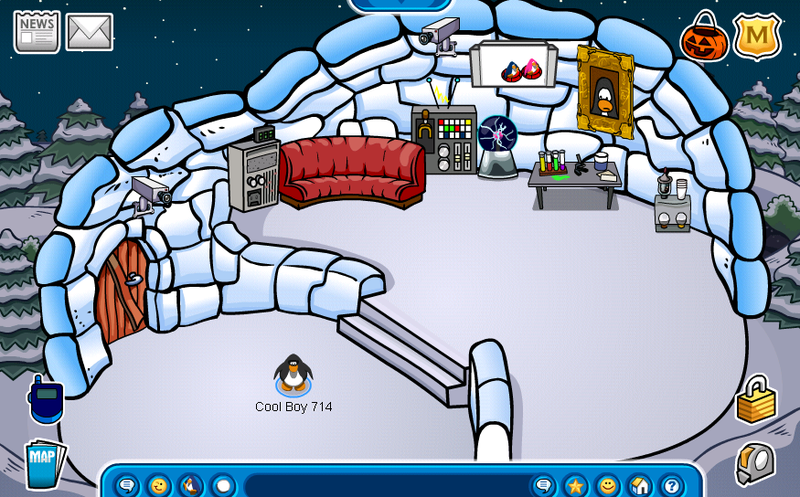 This is a picture of my igloo. Now that I am a member I can see the secret room in the Book Room. Wrong! I have to buy the Scientist Outfit first. So, after I bought it I went to the Secret Room (Laboratory) and I looked at EVERYONES player card and they all had the G (Gary) signed background! I just missed him! Well this is a picture of the Laboratory. Also, as you can see in the picture I circled something. Members can get free Lanterns! 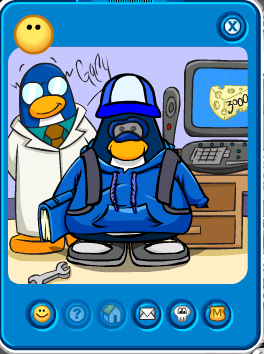 Gary is the penguin you see in missions. He is the head of the secret agent stuff I think. Well anyway he has been spotted around the island lately. Usally on the second page of servers. That is where everyone saw him but me beacause I was too late to see him. He gives away a free signed background like Rockhopper! Here is one picture of his background. Gary is usally on the second page of servers! He gives away a RARE background so if you see him click the place where a friend button should be and you will get his free signed background!